The Lacrosse game is known as one of the fastest games on two feet, and to give you the fleet-footedness you need to excel, you need the best Lacrosse Cleats you can get, to give you the comfort, support, traction, and stability the sport of Lacrosse game demands. A Lacrosse cleat grips the ground and allows you to move quickly and with confidence. There are a number of great brands on the market and all of them have the attributes you need. So when you pick your pair of Lacrosse Cleats the most important factor is the fit of the shoe. Lacrosse comes in three different styles, low cleats, mid cleats or high cleats, each offering their own levels of ankle protection and support, flexibility, and weight. The outsole of the cleat is what makes the shoe. The traction provided by the pair of cleats is what allows you to perform at your best, no matter if you are playing on grass or artificial turf. View the Best Cleats for Lacrosse, Below. What kind of cleats for lacrosse? The material of the shoe determines its durability and how heavy the shoe is, along with the cut, or style of the shoe. After extensive research, reading countless reviews, watching YouTube videos and more, we have come up with a list of the top ten Lacrosse cleats which will help you perform at your best. When you are looking to buy Lacrosse cleats you need to choose wisely. The fastest game on two feet is very demanding and you need to be sure of your footing, be able to cut, and accelerate quickly as well as remain stable during all of this. Consider the material that the cleat is made from as well as the sole of the cleat as traction is vitally important when selecting your Lacrosse cleats. The style and design of the shoe are also of great importance as this will determine the amount of support you will get from your cleat. There are three main cuts on a Lacrosse Cleat, low cleats, mid cleats and high cleats. Low-cut cleats are perfect for those looking for the lightest Lacrosse cleats they can get and although they offer very little ankle protection, they are for the high-speed players who need to make quick cuts. High-cut cleats have the appearance of boots as they extend up the leg past the ankle providing the best ankle support you can get. This is for players who need extra ankle support in order to avoid injuries. The mid-cut style of Lacrosse training shoes are by far the most popular. They are extremely versatile and allow for both support and range of movement in the foot. They are the best of both worlds when it comes to Lacrosse cleats. This is the most important aspect, apart from the fit, of a Lacrosse cleat. It is what defines your cleat. The outsole contains knobs of plastic, studs or even spikes which are strategically placed along the outsole of the shoe. The pair of cleats you wear are what give you the traction you need to make the fast moves required for Lacrosse. The correct shoe insert is also important! Lacrosse cleats have one role and that is to ensure you remain stable and grounded as you play no matter the field conditions. The cleats are what allow you to make the cut, turns, stops, and accelerations without slipping. They type of cleat you select will also depend on the type of surface you will play on, whether it be on natural surfaces or artificial turn, the size, shape, and length of the cleats will vary according to the conditions you are playing in. The material the cleats are made from is important. You need material that is both lightweight and durable while providing the kind of support you need. Leather and Lacrosse mesh are two of the best materials to use on Lacrosse game cleats. Fitting your Lacrosse cleats is essential. If the fit is not perfect you may find either you are slipping in your pair of cleats or you finish your game with painful feet from being squashed in an ill-fitting shoe. Ensure the heel of the cleats fits snugly and that the toes have some wiggle room. Always fit your training shoes with the same socks you will be wearing when playing your game as well as any other form of accessories you will use such as ankle braces and the like. If you are starting out in the game then look at the cheap Lacrosse cleats before spending too much and then deciding that you do not like the game at all. Also as you are new to the game you will not be sure that it is you need in a Lacrosse cleat, so it is best to first use cheaper shoes before spending a lot on the top Lacrosse cleats. If base your decision on the type of field you will be playing on, the position you play as well as the support needs you have, you will be sure to select the right pair of Lacrosse cleats for your needs. Make sure they are made from breathable, lightweight material, and offer the best traction you can get to allow you to accelerate, make those hard cuts and still remain stable on your feet. Lacrosse is a great game and having the right cleat will make it all the more enjoyable. Lacrosse cleats are what give you the ability to grip any surface you are playing on, allowing you to perform at your best on the field. Now let’s have a look at the top Lacrosse cleats on the market to help you decide which cleat will suit your playing needs. New Balance is a great brand of athletic shoes for over a hundred years, they do extensive research and development to create the best shoes to allow you to excel in your chosen sport. New Balance, in this instance, has created one of the first game-specific Lacrosse cleats to help you to lift your game to the next level. The New Balance Freeze LX Cleat offers the support and comfort you need to make the moves, the cuts, and have the speed that Lacrosse demands. The New Balance Freeze LX is a men’s Lacrosse cleat that will allow you to lift your game on the field. 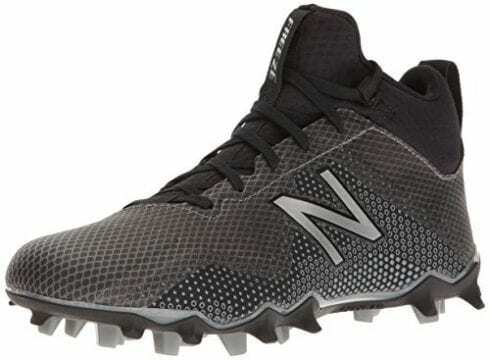 The New Balance Freeze Lacrosse Cleat is constructed from synthetic materials, making it extremely lightweight, weighing in at only 9.9 ounces. It features a Quixrail plate. This Quixrail plate is designed to offer you the support to allow you to make the cuts a Lacrosse player needs to make to excel at the game. The full bootie tongue construction of this great New Balance Freeze Lacrosse Cleat gives you the agility along with the speed required in this extremely fast-paced game. This full bootie tongue construction, combined with the Exploweave saddle, allows you to cut harder on the filed giving you the edge over your opponent. The synthetic sole sports TPU molded lacrosse cleats on the outsole. The New Balance Freeze v1 Lacrosse Cleats are designed to grip the surface hard, allowing you to make quick and confident cuts, give you the explosive take-offs required for the game, and keep you stable no matter how quickly you need to stop, push-off or change direction. The traction of the cleats is superb. 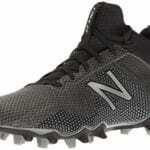 Lacrosse is a very demanding game in terms of speed and agility and New Balance has designed a cleat that allows you to have the comfort and support you need, along with the grip required to give you speed and agility on the field. One of the top new balance Lacrosse cleats on the market today, the Freeze lacrosse cleat is not one to be missed. 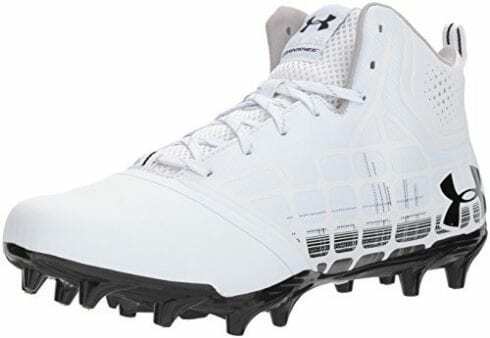 One of the best UA highlight MC lacrosse cleats for Lacrosse on the market. Designed not only for speed but for comfort and support, allowing the athlete to move quickly and with confidence, with powerful push-offs and exceptional agility. Offering a number of features to allow you to be your best on the field. The synthetic material used in the upper of the ua highlight MCcleat is exceptionally supportive. The CompFit sleeve of the UA highlight MC lacross cleats hugs your foot and ankle offering the kind of support Lacrosse players need when cutting, stopping, and pushing-off. The Lacrosse shoes fit your foot like a glove, giving you a snug fit. The 3D molded MPZ tongue is designed to be lightweight and offers just the right amount of padding that will protect your upper foot. The UA Corespeed construction of the Under Armour Men's ua highlight cleat is designed to allow your foot to have great mobility, it is flexible and will not restrict the movement of your foot in any way. This Under Armour Men's UA Lacrosse cleat is flexible yet ultra-supportive. 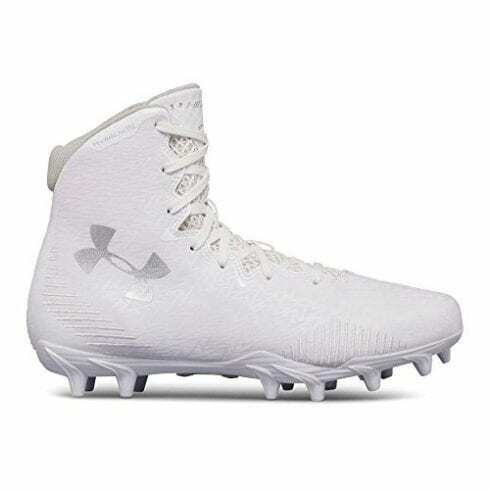 The 4D foam footbed of the Under Armour Men's ua highlight cleats locks the foot into the shoe and provides the comfort you require and adds to the exceptional fit of the Lacrosse shoe. Strong and durable pair of cleats for Lacrosse. The outsole of the Under Armour Men's ua highlight cleat features bladed cleats. These kinds of cleats offer the kind of superior traction that a Lacrosse player needs. Not only are they lightweight, they grip the surface allowing the athlete to move with exceptional speed and agility while remaining stable on their feet at all times. A high top Lacrosse cleat that is designed to offer you the best you can get in the way of support, comfort, and stability on the field of play. The bladed cleats offer the traction required to make the cuts, quick stop and turn as well as explosive push-offs required in this fast-paced sport. Lightweight, flexible and supportive this is one of the top cleats for Lacrosse and will help you to take your game to the next level. 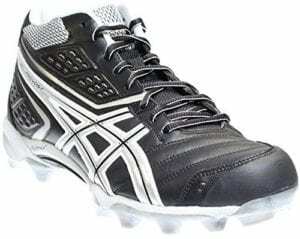 ASICS is a top brand name for athletic turf shoes. 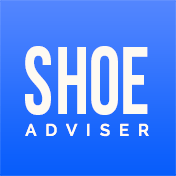 They specialize in designing and developing shoes that allow athletes to perform at their best at all times. This mid-height Lacrosse shoe is designed to offer men the best in Lacrosse mesh cleats to enable them to control the game no matter what position or area on the field they find themselves in. 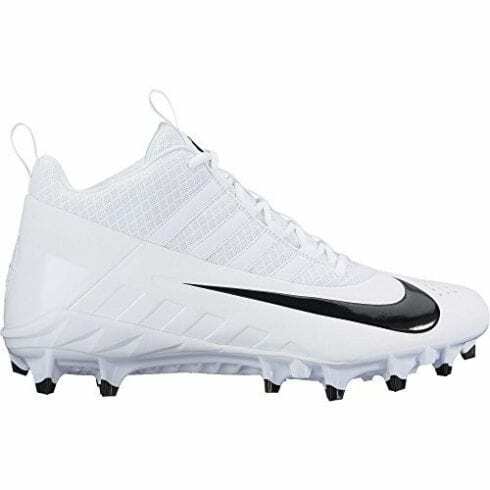 These turf shoes have a mid-top construction, which is designed to offer the kind of ankle support you need, especially when you are making hard cuts on the field. The synthetic leather and mesh upper is both lightweight and supportive as well as being durable. The 10mm heel gradient is designed for biomechanical efficiency. The DuoMax midsole combined with the rearfoot Gel cushioning of the Lacrosse mesh cleat offers superb support and cushioning. These ASICS Gel mid-cleats are lightweight and comfortable without sacrificing the stability required in a Lacrosse mesh shoe. The Gel-Provost construction of the shoe features a padded tongue and collar. A reinforced toe area protects you against abrasion and impact. The removable insole of the turf shoes allows you to replace it with orthotics if needed, it is also designed to absorb moisture to allow your foot to remain cool and dry throughout the game. The rearfoot Gel cushioning offers the kind of shock-absorption needed on the heel area. The rubber sole of the turf shoe is highly durable and protects your foot as well as providing a high level of comfort and support. The lightweight Solyte Polymer Cleat Plate is designed to enhance your ability to perform on the field. It adds stability and allows you to make those cuts, stops and turns quickly and with confidence. Superbly designed mid cleats that are designed to offer the player the ability to move quickly and with confidence around the field of play. They are supportive, wrapping your foot in comfort. One of the best Lacrosse turf shoes they offer exceptional traction allowing for the hard cuts Lacrosse players need to master. Lightweight without sacrificing stability, this is one of the best men's Lacrosse cleats on the market today offering the kind of support, stability, and flexibility you need to excel in this great, fast-paced sport. 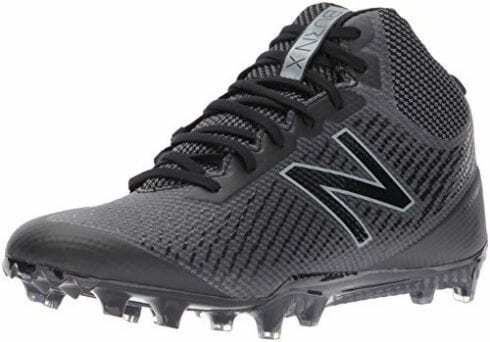 It should come as no surprise that we have selected more than one New Balance Lacrosse cleats on our list of top Lacrosse cleats. These cleats are durable, supportive, and comfortable and offer extreme traction and stability, allowing you to lift your game to new levels. Constructed from synthetics and textiles, this Lacrosse Cleat offers a lightweight low-top design that will give you the ability to move with speed and agility around the field. The durable material supports your foot and offers a wide range of movement, great for all positions on the field and one of the best Lacrosse cleats for midfielders as they are designed to allow for quick and efficient cuts, turns and explosive push-offs. The Insole of the cleat is removable. This is very useful if you have any foot issues that demands orthotics to be used. It also makes it easy to replace the inner sole without having to replace the entire shoe once it has reached the end of its lifespan. The synthetic sole and TPR outsole offer exceptional support and comfort. The TPU molded lacrosse cleats are designed to grip the turf securely which is vital in this fast-paced sport that demands the ability to cut with confidence. These Lacrosse cleats are lightweight without sacrificing on the stability required in a Lacrosse cleat. One of the best New Balance Lacrosse cleats for the player that wants to take their game up a notch. Offering the traction and stability needed in the TPU cleats. A removable insole allows for exceptional comfort and support. The low-cut shoe is designed to offer a full range of motion in your foot and allows for exceptional flexibility. Lightweight and durable these are some of the best low-cut Lacrosse cleats around. If you are looking for a Lacrosse cleat that is going to offer you the speed you need on the field, then the Burn Mid Speed is what you are looking for. It is constructed especially for Lacrosse and offers the stability, support, and comfort you need to get the best out of your game. This cleat which is designed for speed and power features a TPU skin upper. This makes the shoe extremely lightweight and molds to your foot offering the kind of support and stability you need. The fast wrap tongue of the Lacrosse cleat is built specifically for the Lacrosse player with a mid-top construction. The platform insert of the shoe offers the kind of support and cushioning you need to keep your foot protected and comfortable throughout the game. The FantomFit of the cleat reinforces the foot's position in the cleat but does not add any extra weight to the shoe. The TPR outsole combined with the TPU molded lacrosse cleats allow for some of the best traction in a Lacrosse cleat. It is designed to allow you to make the kind of cuts you need to make when playing this very fast-paced game. The plate is unique in its design and is perfect for the down-hill player that needs to make that first step count. The superb traction allows for extreme acceleration and powerful push-offs. The rubber sole of the Lacrosse shoe makes it extremely durable. These lightweight Lacrosse cleats are designed to offer superb support, comfort, stability, and flexibility needed to keep up with the game of Lacrosse. It offers a unique plate that will fit the down-hill player and allows for exceptional push-offs and excellent acceleration. A top-rated Lacrosse cleat that will allow you to perform at your very best on the field. Nike is a world-renowned brand of athletic shoes that are favored by many professional players. The Nike Men's Huarache is engineered for the Lacrosse player and offers everything that the Lacrosse athlete will need to be able to lift their game and perform at their peak on the field of play. The construction of the Nike Men's Huarache shoe is designed to offer great support, stability, and comfort. The combination of synthetics and textiles used to construct the upper part of the Nike Huarache is lightweight and molds to your foot for great support. The perforated vamp adds to the breathability of the shoe allowing your foot to remain cool and dry. The material holds your foot snugly in the shoe offering a secure fit. The Phylon midsole wedge of the Nike men's huarache Lacrosse shoe is supportive and provides the cushioning you need in the heel area of the shoe protecting your heel from impact. The dynamic support system of the shoe allows you to make the cuts and quick movements you need in this very fast game. The Nike Huarache 6 offers an outsole that features sonic triangular shaped studs. This design offers 360-degree traction, this allows you to make the cuts to blow your opposition away. These cleats along with the dynamic support make the shoe extremely stable and offer superb traction. One of the best Huarache Lacrosse cleats you will not go wrong with this choice. The 360-degree traction, lightweight upper that is breathable and supportive, and a Phylon midsole wedge offering added support and cushioning. The dynamic support system of the shoe allows for a great fit which keeps your foot securely in the shoe. When you are playing Lacrosse you need to be able to move with agility and speed and these Huarache 6 Lacrosse cleats offer you that ability and a whole lot more. 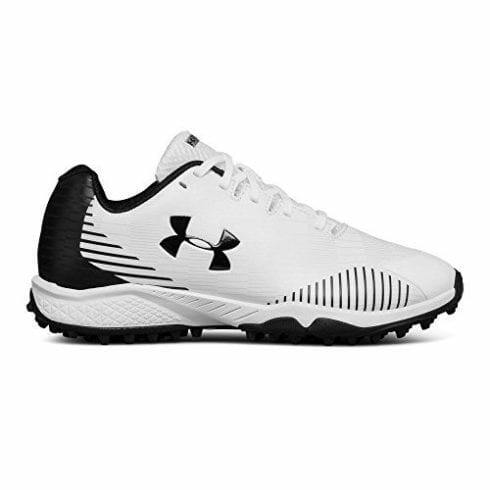 Another great offering from Under Armour, the UA Banshee Mid MC Lacrosse cleats are designed to offer a lightweight and comfortable fit, great support and stability and superb traction, and is another great offering from Under Armour. The UA Banshee Mid MC Lacrosse cleats are perfect for the Lacrosse player who requires the ability to accelerate, cut and turn with confidence. The comfortable fit of the UA Banshee Mid MC Lacrosse cleats is due to the synthetic upper of the cleat that will wrap around your foot and offer you the kind of support and stability you need when playing this very fast-paced game. The upper is lightweight, weighing in at a mere 10 ounces, these cleats will not weigh your foot down in any way. The mesh material is breathable and will keep your foot cool and dry while providing the support it requires. The die-cut EVA sockliner provides an exceptional level of comfort, relieving the pressure on your underfoot and reducing impact. The tongue of the shoe is also constructed from mesh for ultimate ventilation. These mid-cut Lacrosse shoes also offer a cushioned collar which adds to the ankle support provided by the shoe. The lightweight foam insole provides added cushioning and ultimate comfort. The TPU plate is lightweight and provides you with some of the best traction you can get in a Lacrosse cleat. These UA Banshee Mid MC Lacrosse cleats are perfect for any surface you may find yourself playing on and for extra traction, the UA Banshee offers secondary cleats. These secondary cleats will bite into the turf, allowing for explosive push-off and acceleration as well as allowing you to make those sharp cuts to get around your opponent. Another great Under Armour Lacrosse cleat that provides precisely what you need to excel on the field. Lightweight yet highly supportive, with exceptional traction, this Lacrosse cleat will ensure that your foot is wrapped up securely in the shoe. The die-cut EVA sockliner provides relief from the pressure underfoot with superior cushioning. Under Armour provides women players with a shoe that is designed with females in mind. 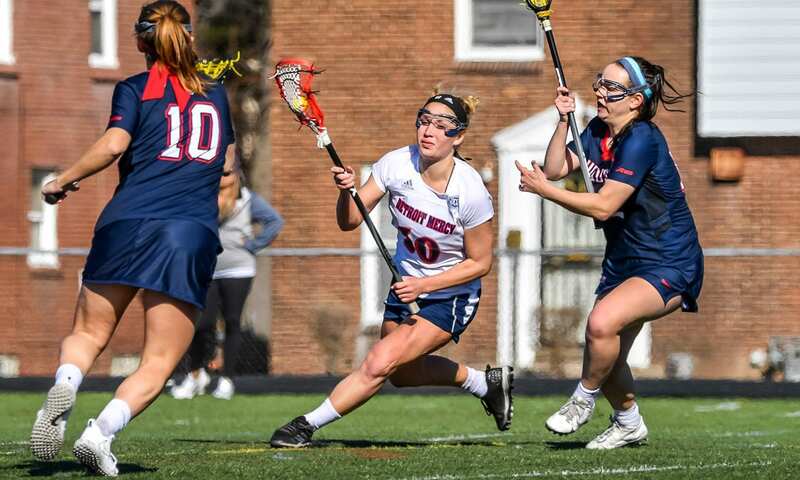 The women's UA Highlight Lacrosse Cleat offers exceptional support, stability, and comfort while the traction on the shoe offers you the ability to move quickly and confidently around the field. Designed specifically Lacrosse shoes for women to be able to perform at their best. The UA highlight Lacrosse cleats women’s shoes feature a 5.5-inch lacrosse shafts from the arch for great support. The Under Armour ClutchFit upper wraps your foot in exceptional comfort and a soft and supportive feel. The embroidery on the upper offers an exceptional foot lockdown in the shoe keeping your foot secure and supported. An interior foam that is found around the ankle reduces heel slip while the molded 4D foam footbed molds to your foot's shape and reduces the pressure on your underfoot. The shoe is very lightweight while maintaining its stability. The upper is breathable and designed to keep your foot cool and dry throughout the game. The synthetic sole of this UA highlight Lacrosse women's cleat is lightweight, with a molded TPU cleat plate, which is designed to offer superior traction on any field. The cleats are designed to allow the athlete to make the kind of cuts and push-offs Lacrosse players need to make to beat their opponents. Girls youth Lacrosse cleats that are designed for women and collegiate players that want to lift their game up another level. Molded TPU cleat plates provide the traction you need no matter what surface you are playing on. The UA ClutchFit upper is like a second skin, wrapping your foot in comfort and supporting your foot and ankle. A footbed that conforms to the shape of the foot, which stops the cleat from slipping and also reducing pressure on the underfoot, this is one of the best women’s Lacrosse cleats on the market today. Another great offering from Under Armour designed and engineered for the female Lacrosse player. This mid-top shoe offers superb support and comfort to the player enabling fast acceleration and exceptional performance on the field. Lightweight and durable one of the best women’s Lacrosse cleats on the market. A synthetic upper that is lightweight and breathable. The material is durable and molds to your foot offering great support. The die-cut EVA sockliner is engineered to offer underfoot support and comfort and to relieve pressure from the cleats. A mid-top Lacrosse cleat that is designed to offer ankle support, allowing you to cut with confidence. The lace closure ensures a great fit and will hold your foot securely in the shoe at all times. This Lacrosse women's shoe weighs in at a mere 8.4 ounces making it one of the lightest Lacrosse shoes for women. The Rubber outsole offers built-in mini-lugs that are engineered to offer you exceptional grip on artificial turf or very dry natural surfaces. They are lightweight and will not weight your foot down. The traction allows for exceptional acceleration and the ability to cut with confidence, keeping you stable on your feet at all time. A Lacrosse cleat designed specifically to offer the women player exceptional traction, great support, and superb cushioning and comfort. A mid-top shoe that wraps your foot and ankle, supporting it and allowing you to make the moves needed in this action-packed, fast-paced sport. Lightweight and durable this Lacrosse shoe is designed with mini-lugs which offer some of the best traction on artificial turf or natural fields that are dry. You play hard and need a Lacrosse shoe that will help support your feet and ankles with a lockdown effect to add stability. The Nike Huarache V Lax Lacrosse cleat is a comfortable, supportive and comfortable shoe for men who love the fast, action-packed sport of Lacrosse. Offering a host of features to help your kid lift their game and perform at their peak on the field. This is a very well-constructed Lacrosse cleat offering a leather upper that is very lightweight and allows for great foot mobility. The Dynamic Fit of the cleat offers exceptional lockdown and stability. The Phylon midsole has excellent padding for comfort and the three-quarter length delivers on the support front, protecting and supporting both the foot and the ankle. These Lacrosse cleats offer a low profile design for the best feel and great responsiveness. 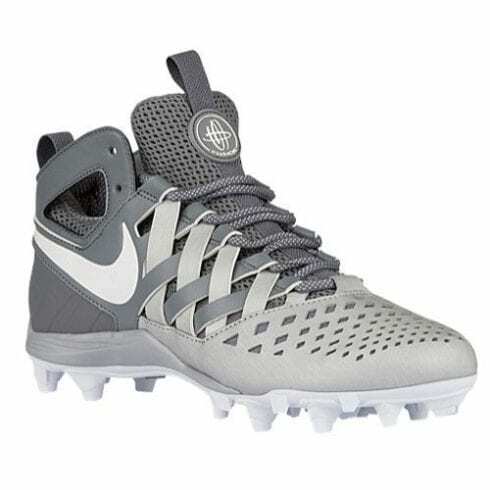 These exceptional Nike Lax cleats for men are designed and constructed and offering the best support, stability, and comfort you can get in Lacrosse cleat. The Nike Huarache V Lax Lacrosse cleat offers a TPU outsole. This makes them lightweight and offers greatly improved performance. The traction is superb features sidewall shovel cleats which are designed to be stronger and provide greater grip when cutting. You need the best support you can get when you're playing Lacrosse its a very fast and action-packed sport. These Nike Huarache V LAX cleats are one of the best cleats for Lacrosse for the players to enjoy. It sports improved traction, superb comfort and cushioning and a three quarter length midsole that protects both foot and ankle. It is also extremely lightweight which allows the foot to have a great range of movement while still being well supported. Lacrosse was played by the Native Indians of America and was called stickball when first played by Europeans. It was played mainly by the Algonquian Tribe but there is no definitive proof of which tribe invented the sport. It was extremely popular in the St. Lawrence Valley and in the area of the western Great Lakes. The sport was first played in the seventeenth century. Lacrosse was a demonstration sport at the 1928, 1932 and 1948 Olympics and was played at the 1904 and the 1908 Olympic Games. Today Lacrosse is one of the fastest growing sports in America. In Massachusetts alone, there are more than 6000 youth players between the second and eighth grade. 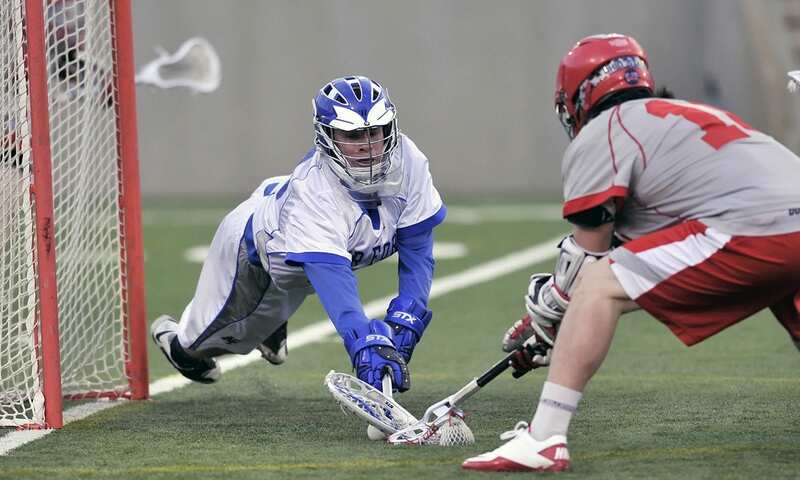 Lacrosse demands speed, skill, and agility. It also requires great teamwork and finesse. 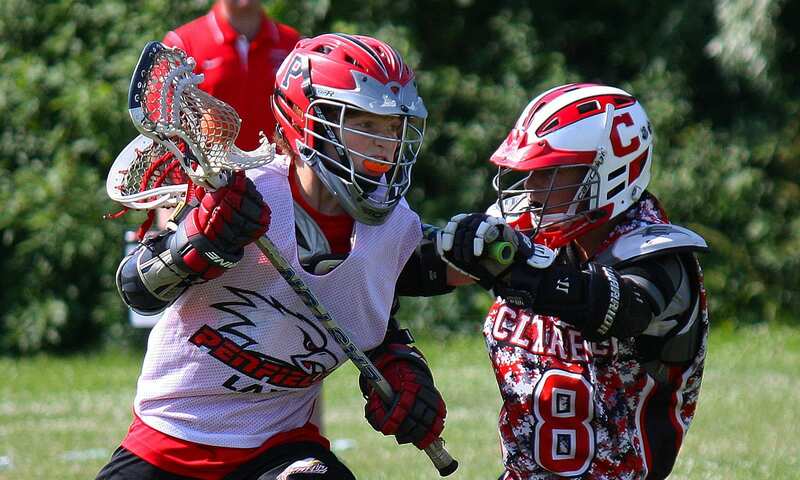 Believed to be the fastest sport on 2 feet, Lacrosse is an action-packed game. The Federation of International Lacrosse is the governing body of the sport. Lacrosse is a game that was played by the Native American Indians. The ball is thrown and carried with using a stick. It is a team sport which is extremely fast and action-packed. The players will use the head of the stick to catch, carry and throw the Lacrosse ball in the goal of the opponent. Lacrosse cleats are designed to offer stability to the player. They are engineered with toe cleats which make it easier for side to side movement. Soccer cleats or even indoor soccer cleats will not work for Lacrosse, however, baseball cleats will. Lacrosse cleats are usually either high or mid-cut for the best ankle protection and are designed to be as lightweight as possible. These high women’s Lacrosse cleats are unbelievably light while still providing the best in support and stability you can get. The UA ClutchFit of the upper acts like a second skin which offer some of the best support in a Lacrosse cleat and of course fantastic feel. The lightweight material will contour to your foot offering a superb fit, locking your foot down into the shoe for great stability. Molded 4D Foam in the footbed is designed to follow your foot’s natural contours, which supports not only your foot but your joints and muscles as well. The CoreSpeed body that enables the foot to have a full range of natural motion. This flexibility allows for superb acceleration and also enables you to do the heavy cutting to best your opponents. These Under Armour Women’s Lacrosse cleats for women are designed with the female foot in mind and are sure to give you the upper hand (or foot) on the field of play. Lacrosse is a very demanding sport and you need a shoe that can keep up with the speed and ferocity of the game. When selecting the shoe you require bear in mind the support offered for both foot and ankle. Low-profile shoes will not give your ankle protection or as much support as a high-top shoe will, however, a high-top will not give your foot as much flexibility and range of movement. do so because they provide you with the best fit, feel and features. These are the shoes that will help you lift your game up and be a star performer on the pitch. There are a couple of things to remember when playing Lacrosse, the most important is catching the ball. Catch it gently, as if the ball were an egg that could break, let your stick head give way a little as it receives the ball, this will give you great control over the ball and ensure that the ball stays in the net when caught. Nobody knows who actually invented the sport of Lacrosse. It is widely known that the Native Americans played the game for the first time, but it cannot be determined who invented it or even which tribe played it first. Read more in this study. We hope you enjoyed our article on "The 10 Best Lacrosse Cleats", if so, please share and rate it.